"Año Nuevo" by Gaetan Caron&quot;A&ntilde;o Nuevo&quot; by Gaetan Caron, alt="&quot;A&ntilde;o Nuevo&quot; by Gaetan Caron, "
Archival Print on Hahnemuhle Fine Art Pearl paper in a contemporary frame. Origin: Archival Print on Hahnemuhle Fine Art Pearl paper in a contemporary frame. 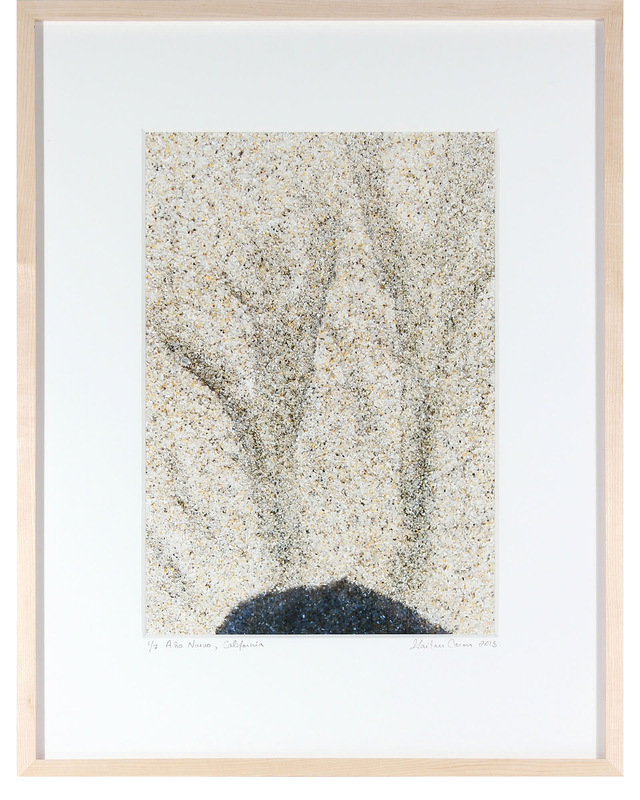 Entitled “Año Nuevo” this 2013 abstract photograph of sand at Año Nuevo State Park on the California coast is by contemporary Mendocino/Bay Area artist, Gaetan Caron (b. 1964), co-founder of Lost Art Salon in San Francisco. Produced in a limited edition of seven and printed on archival Hahnemuhle Fine Art Pearl paper. 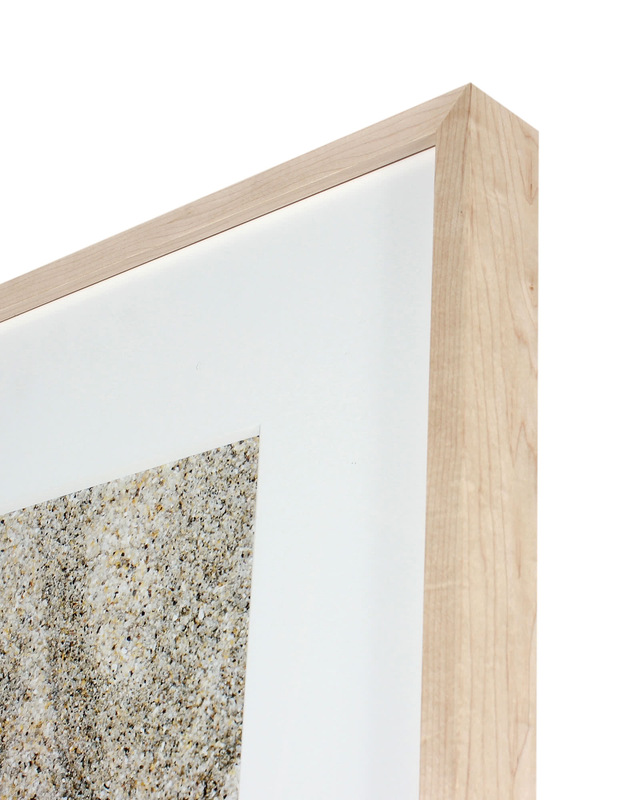 Framed in a contemporary unfinished solid-maple wood frame using white 8-ply archival matting and conservation clear glass. Please allow 10 days for printing and framing before this piece is shipped. Overall Dimensions: 23" x 30.5"